Hey Folks, if you are eagerly seeking for the RSMSSB Sanganak Recruitment 2018 then you are at the right place because here, we are going to share all the information related to the RSMSSB Vacancy 2018 in the following sections of the article. Interested & eligible applicants who want to make their future bright in Rajasthan Subordinate & Ministerial Services Selection Board then they may read this complete article very focus fully & grab all the relevant information from here & then you may apply for this RSMSSB Notification 2018 from the official portal of Rajasthan Subordinate & Ministerial Services Selection Board which is www.rsmssb.rajasthan.gov.in. Forgetting extra details, Scholars may check our careerjobs360 official portal & get all the information from here & stay connected with us. The RSMSSB-Rajasthan Subordinate & Ministerial Services Selection Board has released the employment bulletin for RSMSSB Notification 2018 to recruit eligible & passionate aspirants for various numbers of Computer (Sanganak) Post in the department. The Rajasthan Subordinate & Ministerial Services Selection Board is going to recruit skilled & well-educated individuals on the 400 number of vacant posts in the Organization. 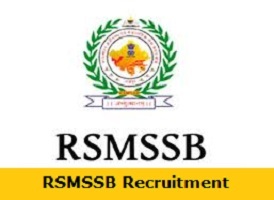 The Eligible and skilled youngsters who want to do a government job in Rajasthan Subordinate & Ministerial Services Selection Board they don’t miss this chance and may apply for RSMSSB Sanganak Recruitment 2018 from the official website of the RSMSSB. Contenders may submit their online application form on or before the due date which is 27th March 2018. However, more information about the RSMSSB Computer (Sanganak) Jobs 2018 such as age limits, required qualification, application form Charges, selection methodology, & how to apply etc are mentioned below in the article. The Rajasthan Subordinate & Ministerial Services Selection Board (RSMSSB) has invited the various application form from the eligible individuals for the placement of the RSMSSB Computer (Sanganak) Recruitment 2018 in the department. Individuals who are interested in this vacancy they can grab the eligibility criteria details from the following sections of the article. Education Qualification: Interested Candidates who are going to apply for RSMSSB Computer (Sanganak) Jobs 2018 they must have Graduation degree in Maths or Economics and Statics or Electronic or CS / O Level Diploma / IT from any recognized institution. For more details, applicants must visit the official notification of the vacancy. Selection Methodology: Aspirants will be selected on the basis of their performance in the Written Examination & Personal Interview which is going to be conducted by Rajasthan Subordinate & Ministerial Services Selection Board. How to Apply for RSMSSB Sanganak Recruitment 2018? Firstly, willing candidates need to open the official web portal of Rajasthan Subordinate & Ministerial Services Selection Board that is rsmssb.rajasthan.gov.in. Then, Go to the recruitment section on the homepage and search out the RSMSSB Sanganak Recruitment 2018 notification link. After that, click on the relevant link & open it on the next web page. Then you must read the official notification very carefully. If you are eligible then fill the Application Form with all the correct details without making any mistake. Attach the entire required credentials with the application form. Now pay the application form fee and submit the application form by the hit on the submit tab button. Take the print out copy of the application form & keep it safe for further use. Here, in the above discussion of the, we provide all the detail about the RSMSSB Sanganak Recruitment 2018. All the eligible aspirants may apply for this vacancy from the official web portal of the department which is provided below in the article. For more interesting facts keep visiting our site regularly. To stay tuned about other jobs in government sector one can bookmark this site by click on a ctrl+d key.